GIRARD - Kellie Bindas passed away at her home late Friday evening with her loved ones by her side after a long courageous battle with cancer. Kellie was born Feb. 11, 1970, in Youngstown, to Paul and Mary Beth (Pompoco) Bindas. She attended Kirkmere Elementary, Volney Rogers Junior High and Chaney High School. She was also a member of St. Christine’s Church. Kellie worked for her family business, Bindas Sparkle Market, UPS and most recently, the City of Youngstown. Kellie will be remembered for her very kind and generous heart and her boisterous laugh. She enjoyed spending time with her nieces and nephews, whom she loved as her own. She also enjoyed shopping, casinos, movies, walks in the park, and the Pittsburgh Steelers. 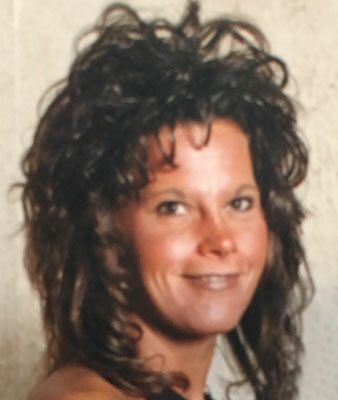 She leaves to cherish her memory, her sister and best friend, Kris (Ted) Melewski; three brothers, Paul, Pat and Tom (Michelle) Bindas; along with her nieces and nephews whom she adored, Michael and Marisa Melewski, Taylor, Morgan, Gianna, Ashley, Jacob, and Paul Bindas. She also loved her long-time companion and love of her life, Tim Lynn, with whom she made her home. Kellie was preceded in death by her parents, Paul and Mary Beth Bindas; and her grandparents, Paul and Ann Bindas; and Andrew and Agnes Pompoco. Calling hours will be on Wednesday from 4 to 7 p.m., followed by a service at 7 p.m. at the Higgins-Reardon Funeral Homes, Boardman-Canfield Chapel. The family would like to extend a special thank you to Dr. Chahine and his staff for the kind and compassionate care shown to Kellie for many years.